In general, sport horses refer to horses that are often Warmbloods or a mix of Warmblood and Thoroughbred that are used to compete in the Olympic disciplines of show jumping, eventing and dressage as well as combined driving. 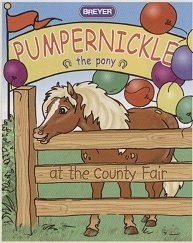 You can recreate the real world of horses with accessories that provide hours of imaginative fun. Contains 1 Classics scale horse and 1 Classics scale calf. Adorable horse and foal sets make great gifts and are a perfect way to get a child's Breyer stable started! Set of 2 grey Arabian model horses. 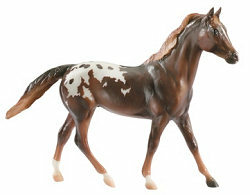 Breyer Horses' Kaitlyn the Cowgirl rider doll is the perfect size doll for Classics Size Breyer model horses. This engaging set includes everything needed to help the groomer get the animals clean and looking great. Includes: 6" articulated doll, pony, cat, dog, water trough, towel, shampoo bottle, and curry comb. Classics Size Models. Starry Night is fourth in a series of Classics decorator model horses. This glossy, celestial blue mare twinkles like the stars above. Her mane and tail glitter with stardust and she has all the constellations of the Milky Way across her sides!